This weekend is the Home Improvement Expo at Eastridge. 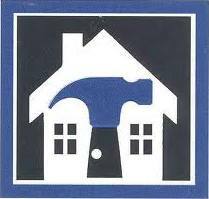 If you are thinking of getting work done on your house, be sure to stop by. The expo will be held from 9am - 5pm on Saturday and Sunday (April 30th & May 1st). Over 50 vendors are expected. If you are a "Do It Yourself" enthusiast, there will be some helpful seminars. Check out the HRCA website for more information. The Expo is free and open to the public.